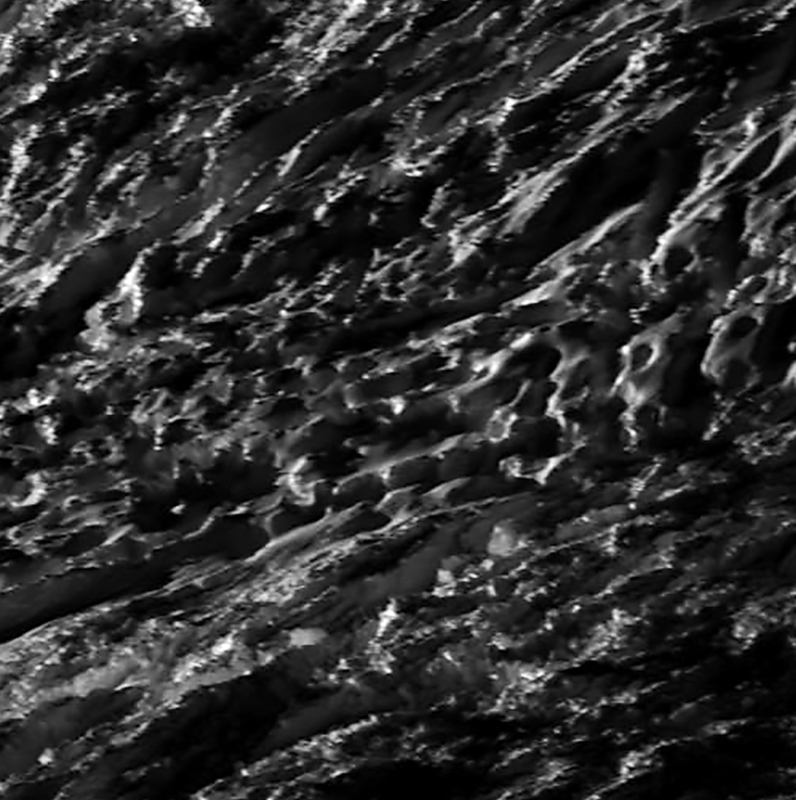 Pics Are In from Cassini’s Flyby Through Enceladus’ Plumes! 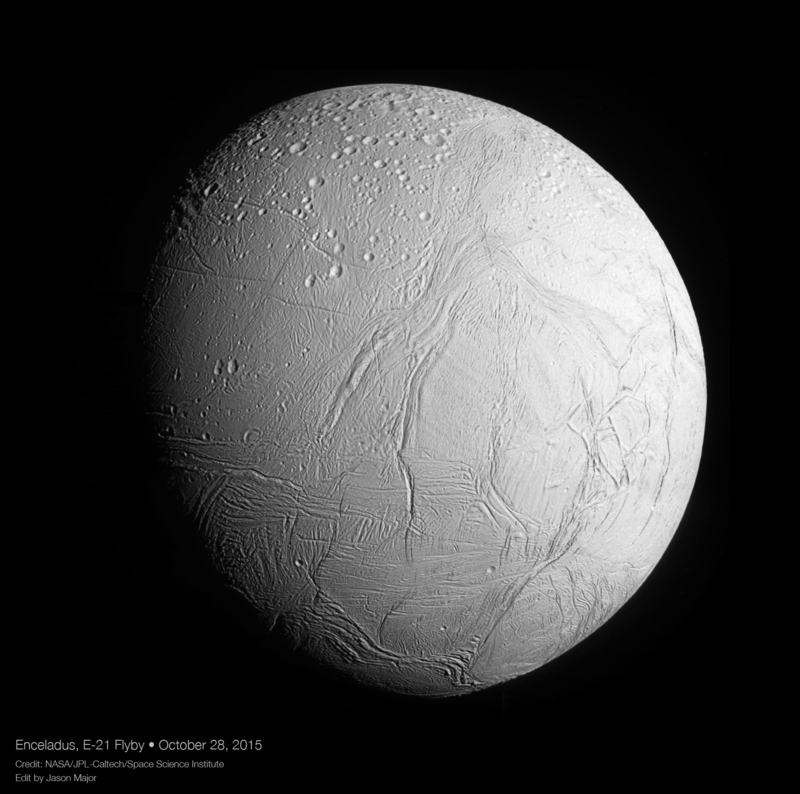 The southern hemisphere of Enceladus imaged by Cassini upon approach on Oct. 28, 2015. 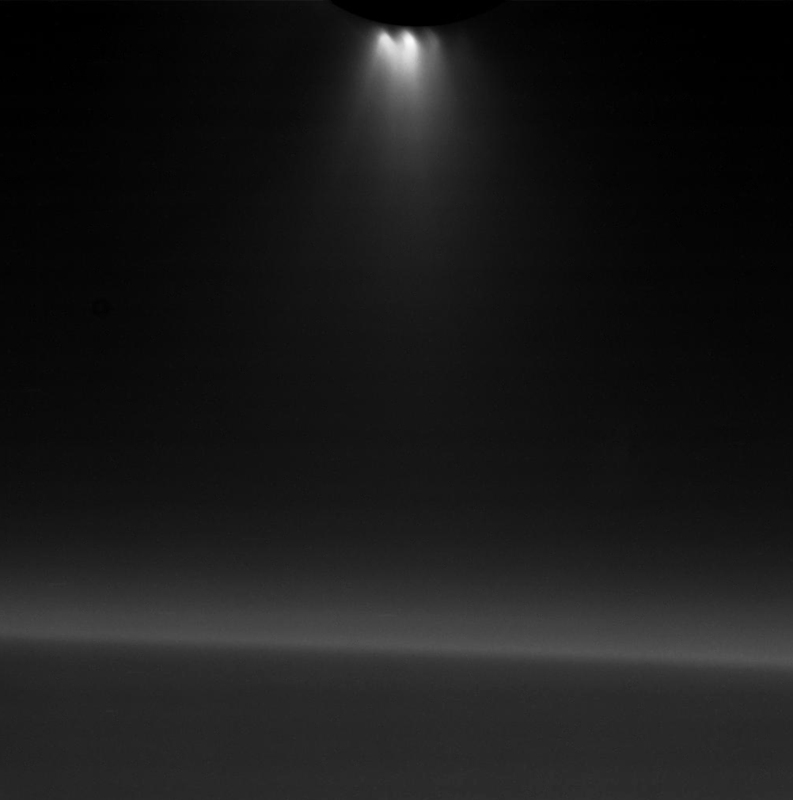 On Wed. Oct. 28 Cassini performed its lowest-altitude dive yet through the icy plumes of Enceladus, coming just 30 miles from the moon’s surface — that’s only about 6 times higher than a commercial airliner at cruising altitude. 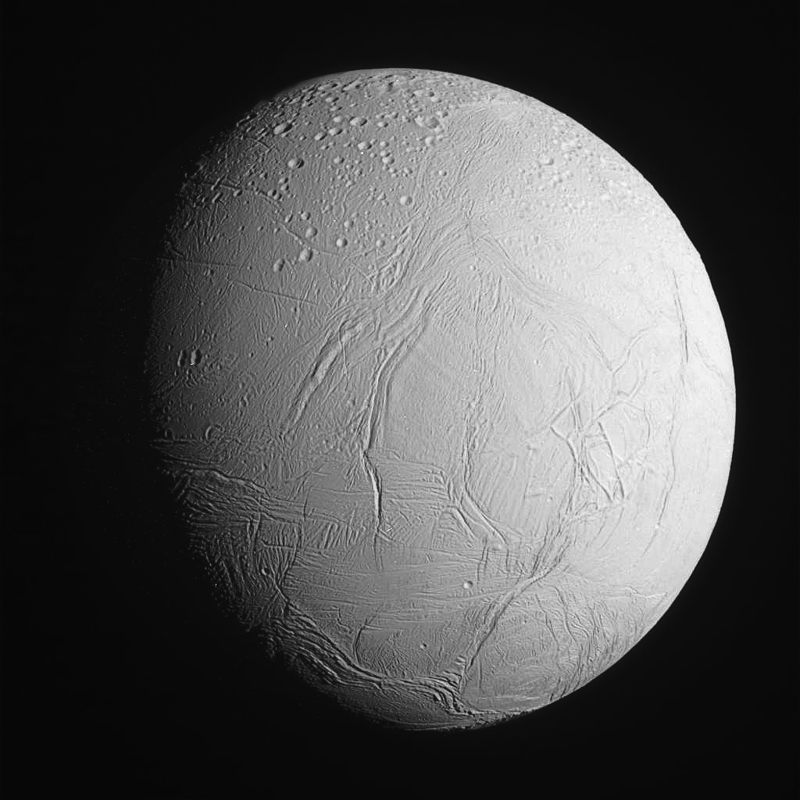 But, traveling over 19,000 mph relative to Enceladus (which is 38 times faster than a jet plane!) the pass was over in just a few seconds. Still, Cassini managed to capture some images before, during, and after closest approach — and they’ve arrived on Earth today. Here are some of the raw images from the E-21 flyby. These have not been validated or made into official releases by NASA or the Cassini imaging team yet, but they are a nice teaser of what we might expect once they are. (And, of course, the science performed during the flyby has yet to be revealed.) So pics only for now! 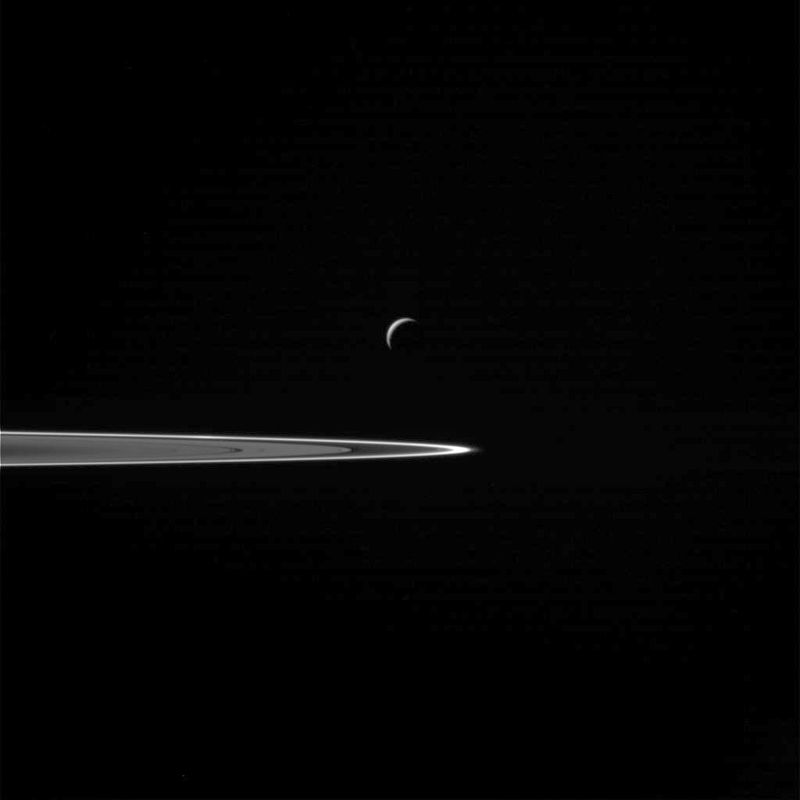 Enceladus seen before the flyby in front of Saturn’s rings. 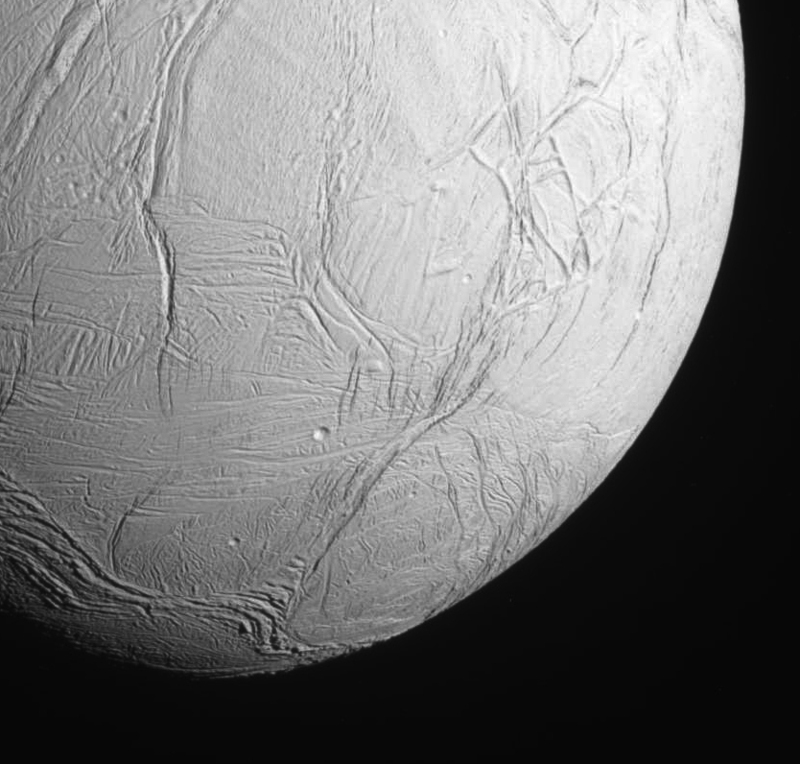 I’m looking forward to hearing what was discovered about Enceladus from this incredibly close flyby. But at the very least, science takes time. After 11 years in orbit around Saturn Cassini is still impressing us with incredible images! As always you can find the latest raw images from Cassini on the JPL mission site here and at the CICLOPS page here, and watch an animation below of what occurred during the E-21 pass. I think it’s great – the pictures and subsequent findings will hopefully fuel the urge to send a mission to this big, potentially life-hosting, snowball 🙂 Thank you for sharing this!